You can give someone a great gift that won’t cost a fortune! 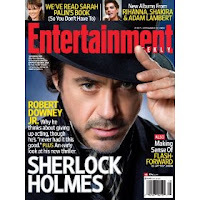 Right now, at Amazon, you can get a one-year subscription to Entertainment Weekly for only $10.00! Yes – $10.00! That is a savings of 95%!! Or, if you already have a subscription, you can extend yours for just $10.00. Just use the exact same name/address on your current one and Amazon will take care of the rest.